You may not know the name Charles Lane, but you definitely know the face. Throughout the 1940s and 1950s he was in hundreds of movies and in the 1960s and 1970s he moved on to television. Despite have mostly small roles, he had a great prescence. One of the roles I remember him most in was his appearance on "The Andy Griffith Show". Lane appeared in many Frank Capra films, including You Can't Take It With You(1938), Mr. Smith Goes to Washington (1939), Arsenic and Old Lace (1944) and It's a Wonderful Life (1946). He was a favored supporting actor of Lucille Ball, who often used him as a no-nonsense authority figure and comedic foe of her scatterbrained TV character on her TV series I Love Lucy, The Lucy-Desi Comedy Hour and The Lucy Show. Lane was born Charles Gerstle Levison in San Francisco, California, to Alice G. and Jacob B. Levison and was, prior to his death, one of the last remaining survivors of the San Francisco Earthquake of 1906. In 1932 Lane married Ruth Covell and they remained together for 70 years until her death in 2002. They had a son named Tom and a daughter named Alice. In 1990, Lane at age 85, was rushed to hospital after having difficulty breathing. A doctor asked if he was still smoking, and Lane replied that he had kicked the habit 45 minutes earlier. He never smoked again. Homer Bedlow! 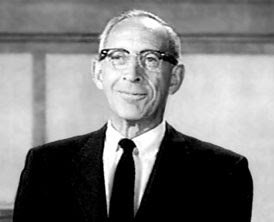 Long before I learned Charles Lane's name, I knew him as Homer Bedlow on "Petticoat Junction". For some reason, he was always trying to close down the Shady Rest. Possibly something to do with taxes. Ha, ha. Whatever the TV program, when his face came on camera, you knew there was going to be a kink in the plot line!